Meet our Certified Radical Remission Instructors from around the world! Interested in teaching others to lay the groundwork for Radical Remission from serious or terminal cancer diagnosis? For years Kelly Turner, PhD, a researcher and psychotherapist who specializes in integrative oncology, has shared her discoveries about the nine healing factors that Radical Remission survivors use with workshop participants around the world. Now, you can learn how to lead your own 2-day intensive or 9-week course on the 9 Radical Remission healing factors. The Inaugural Teacher Training took place in New York State in October 2017. While a date and location is not yet set for the next training, we plan to hold one in 2019. To be the first to know any updates on upcoming trainings, subscribe to our Radical Remission Teacher Training list! Facebook Live Q&A Session: Watch the Video! Our first ever Facebook Live session was a success! Watch the video to get all of your questions answered about the Teacher Training. You leave with the readiness to lead your own Radical Remission workshops in your own community. WHO IS THE RADICAL REMISSION TEACHER TRAINING FOR? This teacher training is appropriate for health professionals looking to be able to lead small workshops in Radical Remission and professionals who wish to lead small groups through a wellness curriculum that is both educational and emotional via a 2-day or 9-week workshop. CAN THE TRAINING BE TAKEN REMOTELY? No, the training must be attended in-person. HOW OFTEN WILL THE TRAINING BE GIVEN? At this time, we plan to hold the training once a year, or once every other year, most likely always in New York State. We are planning on offering our next Teacher Training in late 2018 or 2019, depending on Dr. Turner’s availability. WHAT PREREQUISITES ARE REQUIRED FOR THE TRAINING? In order to be eligible for the Teacher Training Course, you must have read the book Radical Remission. In addition, you must also take an in-person Radical Remission Workshop, taught by Dr. Kelly Turner or one of the many Certified Radical Remission Teachers. Finally, you must submit an application, which includes, among other things, an essay and a short video submission. ARE THERE SCHOLARSHIPS AVAILABLE FOR THE TEACHER TRAINING? The teacher training will provide attendees a certification which will allow them to profit for the rest of their lives from the Radical Remission Workshops they conduct. Therefore, no scholarships are available for the Teacher Training. However, we hope to offer the training regularly, so if you are not able to attend the next training, we recommend that you save up for the following training. WILL THE RADICAL REMISSION PROJECT HELP ME WITH MY TRAVEL EXPENSES TO AND WHILE AT THE TRAINING? Attendees are responsible for all travel and lodging expenses incurred to, from, and while attending the training. ONCE I’VE RECEIVED MY CERTIFICATION, HOW WILL MY WORKSHOPS BE SCHEDULED? Certified trainers will be responsible for planning and scheduling all workshops that they choose to offer. This includes establishing a location, time, and date for each one, as well as any marketing and publicity. WILL THE RADICAL REMISSION PROJECT HELP ME MARKET MY TRAININGS? 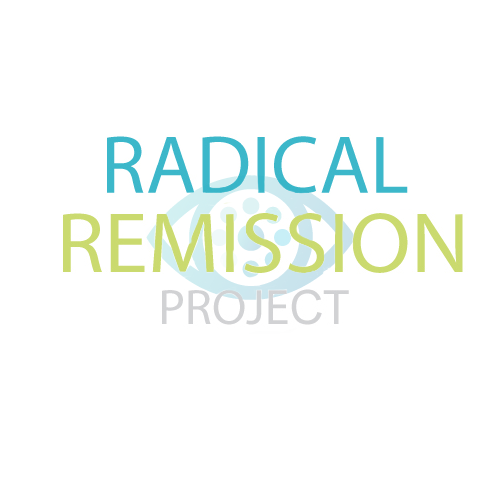 The Radical Remission Project will maintain a basic list of upcoming workshops on its website, and anyone who contacts us for trainers in a specific area or location will be directed to that list. We will also maintain a general list of certified trainers on our website. However, no additional marketing or publication will be done by the Radical Remission Project at this time. ARE THERE ANY RESTRICTIONS ON THE FEES I MAY CHARGE FOR MY WORKSHOPS? This is explained in the Licensing Agreement which is provided at the time of applying, but we suggest that you charge your participants between $95 and $250 per workshop that you offer, set at the discretion of the certified trainer. The maximum fee you may charge each participant is $500 per workshop. This maximum fee is subject to change (e.g., to adjust for inflation, etc.). AM I COVERED UNDER LIABILITY INSURANCE FROM THE RADICAL REMISSION PROJECT WHEN I CONDUCT MY WORKSHOPS? No. The Radical Remission Project assumes no liability and strongly recommends that all trainers obtain liability insurance whenever they are offering a workshop. WHAT IS THE COST OF THE TEACHER TRAINING WORKSHOP? Although the final tuition price for the next workshop is not yet set, we expect it to be between $1,995-$2,995. Note: This does not include transportation to/from the training, or room/board costs at the hotel. WHERE CAN I OBTAIN A COPY OF THE TEACHER TRAINING LICENSING AGREEMENT? You may request a copy by emailing [email protected]. The licensing agreement must be signed as part of your application materials. WHAT IS THE RADICAL REMISSION CERTIFIED HEALTH COACH PROGRAM? 1) Successfully graduate from a Radical Remission Teacher Training. 2) Prove that you have an advanced degree in psychology, psychiatry, counseling, or social work; or that you have graduated from a coaching program that is accredited by either the ICHWC or the ICF. Once those two steps are complete, you will need to submit a basic application along with the annual certification fee. For more information, please email [email protected].